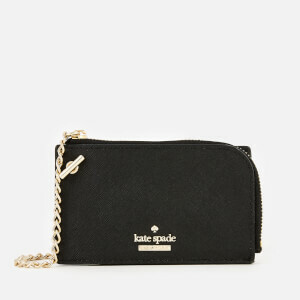 Black slim zip purse from MICHAEL MICHAEL KORS with a cardholder case attached by a gold-tone chain. 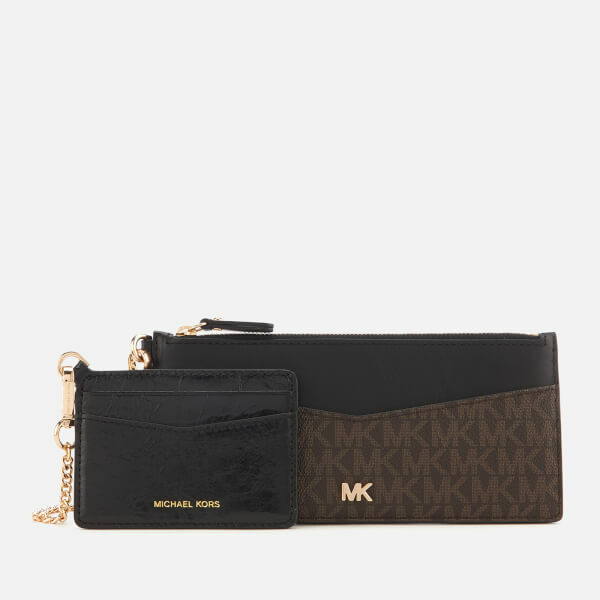 Crafted from smooth black leather and coated canvas with an ‘MK’ logo print, the ‘Money Pieces’ purse has a zip top closure and a jacquard logo lined interior. 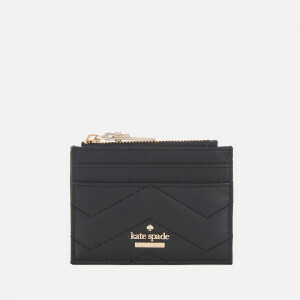 The detachable cardholder is crafted from distressed black leather and comprises four card slots and a central pocket. 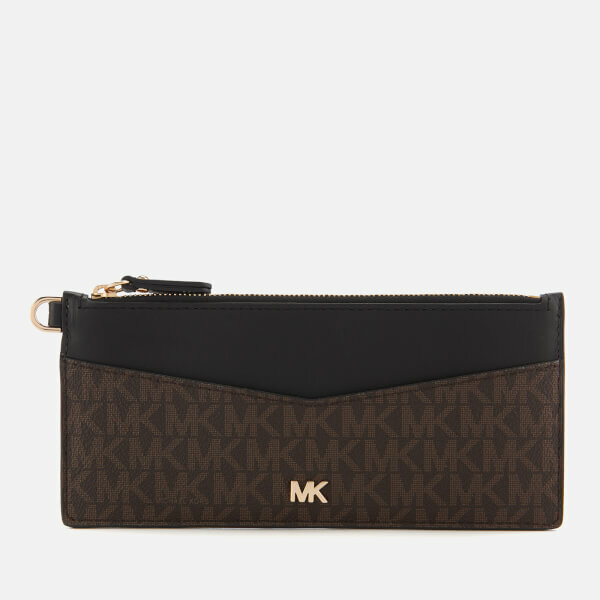 Complete with gold-toned hardware and signature a metal ‘MK’ logo on the front. 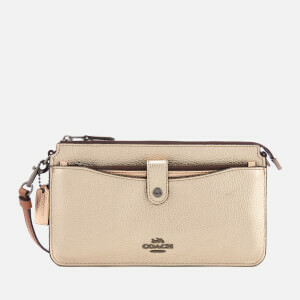 Dimensions: Purse: H: 9cm x W: 19.5cm x D: 1cm. 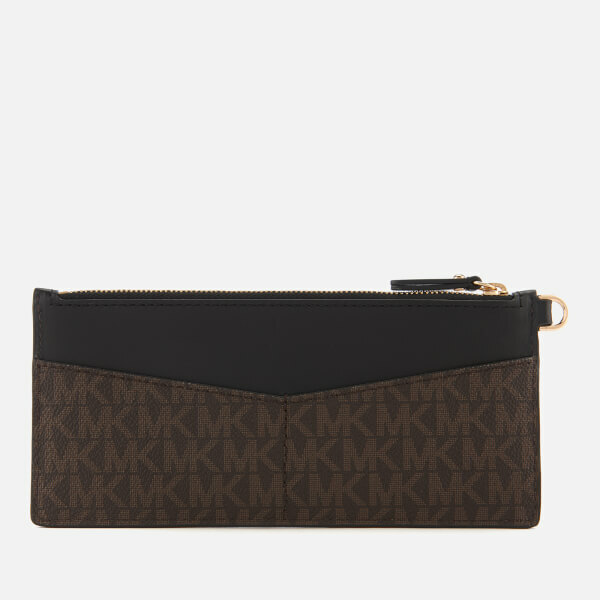 Cardholder: H: 7.5cm x W: 10cm.